Charles Comiskey was both father and midwife to the White Sox franchise. A former player and manager, Comiskey purchased the minor league team in Sioux City, Iowa, which he moved to St. Paul, Minnesota in 1895. When the National League (the only major league at the time) contracted by four teams in 1899, Comiskey moved the Saints to the South Side in 1900 where they played a final minor league season in the Western League. An agreement with the Chicago National League franchise forbid his team the use of the name "Chicago", so the "White Stockings", a nickname used previously by the team that would become the Cubs, were born. Working actively with baseball executive Ban Johnson, they successfully established the rival American League in 1901 and the moniker "White Stockings" would evolve into the condensed version "White Sox" a few years later. The White Stockings first game was an 8-2 win against Cleveland on April 24, 1901. They wound up with the junior circuit's best record that first year at 83-53, but with the World Series not yet conceived, there was no postseason play. The White Sox next reached the top in 1906 with a team dubbed the "Hitless Wonders" for their paltry batting average of .230. No regular hit higher than .279 and no one came close to shortstop George Davis' team-leading 80 runs batted in. What carried the day was a wondrous pitching staff whose names may be forgotten by modern day fans, but were very familiar to hitters of their era. Frank Owen (22-13, 2.33), Nick Altrock (20-13, 2.06), Doc White (18-6, 1.52 to lead the league) and Ed Walsh (17-13, 1.88) combined for a team ERA of 2.13, led the Sox on a 19-game win streak in August (eight of the wins by shutout), and overall, won 29 one-run games. The Sox won the pennant by three games and then upset their cross-town rival Cubs in the only all-Chicago World Series ever played. The Cubs had pillaged their way to 116 wins that year (a record that still stands) but averaged only 1.5 runs per game against Sox pitching. After some lean years, Comiskey went on a spending spree that netted him two of the game's top hitters  "Shoeless" Joe Jackson from Cleveland and Eddie Collins from Philadelphia  and one of the game's best pitchers in Boston's Eddie Cicotte. Blending with home grown talent, the Sox won 100 games in 1917 (the only Sox team to reach the century win mark) and dispatched the New York Giants in six games to win their second world title. No one at the time would have believed this would be their last championship in the 20th Century. The players who formed the solid core of the 1917 champions also formed the rotten core for the 1919 Black Sox. They won the pennant by three games over Cleveland but lost to an underdog Cincinnati Reds team in the World Series. Suspicions about how the Sox played simmered during the Series, but the lid didn't blow until the following August, when Eddie Cicotte admitted what the players had done, implicating himself, Jackson, fellow pitcher Lefty Williams, Chick Gandil, Swede Risberg, Buck Weaver, Oscar "Happy" Felsch and utility infielder Fred Mc Mullin. When these other players also confessed, they were immediately suspended by Comiskey, and the Sox team, in first place on August 31, collapsed to second place. It should be noted that the 1920 team still managed to win 96 games and had four 20 game winners in Williams, Cicotte, Red Faber and Dickie Kerr. The Black Sox were tried in Chicago and acquitted of all charges in 1921. This was not good enough for newly appointed Baseball Commissioner Kenesaw Mountain Landis, who despite the jury's verdict used the players' earlier confessions to ban them from major league baseball for life. The pall of the Black Sox scandal hung over the franchise long after the participants departed. The Sox played dismal second division baseball during the next three decades, becoming Chicago's second team behind the Cubs. The best they could offer was the chance to see Hall of Fame players such as Luke Appling, one of the great hitting shortstops of all time, and pitcher Ted Lyons. Bill Veeck took the reins of ownership in 1959, transforming the Sox from the "no-no" team of 1919 to the "go-go" team of 1959. Using a dynamic running game (Luis Aparicio and MVP Nellie Fox were the instigators), stellar defense and a great pitching staff led by thirty-nine year-old Early Wynn (22-10, 3.16), the Sox ended a 40 year pennant drought, the longest in either league. They lost the World Series to the Los Angeles Dodgers in six games. During the 1970's and 1980's, the White Sox brought Chicago some entertaining, if not always successful teams. They finally added power, known in 1977 as "The South Side Hitmen", to a lineup that for most of the century relied on contact hitters. The dearth of power and run producers in ChiSox history is evident in the fact that no White Sox outfielder in the 20th century was elected to the Hall of Fame  a unique distinction for the franchise. It was a trio of heavy hitters: Greg Luzinski, Carlton Fisk and Ron Kittle, all of whom hit at least 25 homers, that helped manager Tony La Russa lead the Sox to the 1983 American League West title. The Sox also won back-to-back division titles in 1993-94 behind Frank Thomas, who smashed 79 home runs in those two years, and pitcher Jack McDowell. The baseball gods seemed to be angry at the White Sox stained legacy of 1919. They denied the team a world championship for 88 years, the longest drought in the American League  then the year of redemption arrived. The drought was over. Echoing the sentiments in Boston during the previous season's climax, generations of fans from all walks of life erupted in a jubilant celebration across the Windy City's south side after a 2005 world championship. It was a win for the ages and the 19th four-game sweep in World Series history that gave the franchise its first World Championship title since 1917. Colorful manager Ozzie Guillen kept the team hungry and in contention the remainder of the decade, winning the American League Central division championship in 2008. Francisco Barrios 4.0 " "
Did you know that the Chicago White Sox (Stockings) played their first Major League game on April 24, 1901? Their opponent was Cleveland and they defeated the Indians (Blues in 1901) 8-to-2 at Southside Park. Too easy? Did you know that the Chicago White Sox (Stockings) won the first pennant in American League history ( see 1901 for more details )? "Unbridled Joy & The Lifting of the Burden from the Past"
The men who once inspired us no longer came to play. In this town baseball is the surest way to kill a Dream. Some people thought these were the reasons they did not achieve. You know these fellows always did the best that they could do. You know that was so long ago Mayor Daley was a boy. Ah, Luis Aparicio, the music of that name! Would there ever be a shortstop who could make us feel the same? So really, 1917, that's how far back it stretched. To folks who live in other towns that must sound so far fetched! Until they showed the baseball world that others could be great. And radio, jet planes, and television would come soon. My father lived past eighty years and died 'fore it came true. So people in the streets today, they cheered, and hugged, and cried. Because the Sox this season were a team no one denied. Jose and Jon, with Mark and Freddy always stood their ground. And Cora watched the third baseline, the other side had Raines. Paulie smashed that Grand slam in Game 2, that was the best! And launched a ball into the seats which took away our pain. The dad of triplets, 14th inning, helps cement the glory. Then Crede drove him in so we no longer were behind! The RBI in Game 4 was the final key to fame. The leather Juan flashed in the 9th made all of Texas hurt. It made me think of Willie Mays back when I was a kid. The new White Sox who won this crown bring back that childhood smile. That helped to cleanse the city of that ancient Black Sox sin. Together, those guys had a plan to bring back baseball pride. Ozzie, Ozzie Guillen, what can anybody say? He kept 'em loose, he took the heat, so they could just go play. He proved to all those "experts" that he knows more than they do. It's taken 88 years, but now that's the thing we feel. Say it, say it slowly, "White Sox, Champions of the World." And watch as that great banner comes to town and gets unfurled. Comes back here to Chicago so that all around might sing. That Ozzie and his White Sox slew the burden of the past. By Greg Karas © 2006. Baseball Almanac. 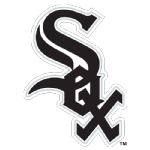 Unofficial franchise nicknames for the Chicago White Sox have included the Hitless Wonder White Sox of 1906 ( click here for roster ), the Black Sox of 1919 ( click here for roster ) and the Go-Go Sox of 1959 ( click here for roster ).